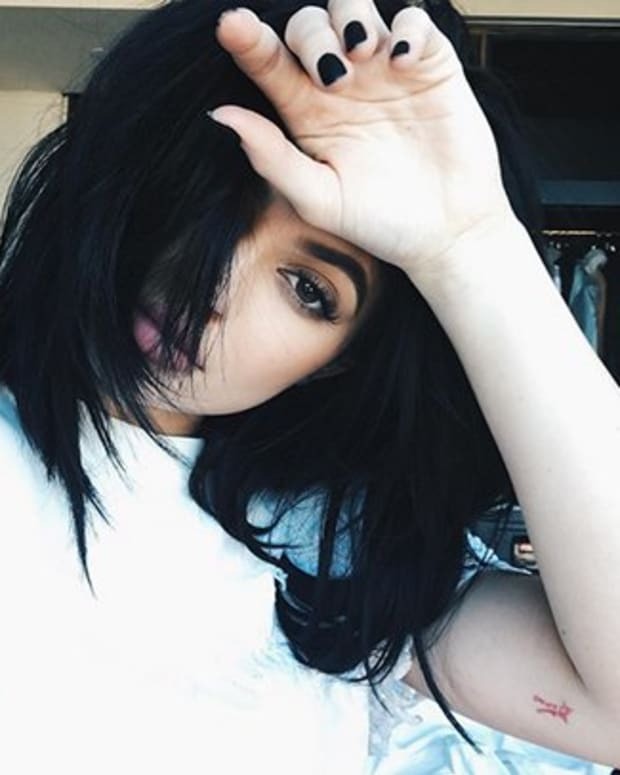 Another day, another Kylie Jenner tattoo story. While her older sis Kendall Jenner attended the White House Correspondents Dinner on Saturday, April 30, Kylie paid a visit to West 4 Tattoo. 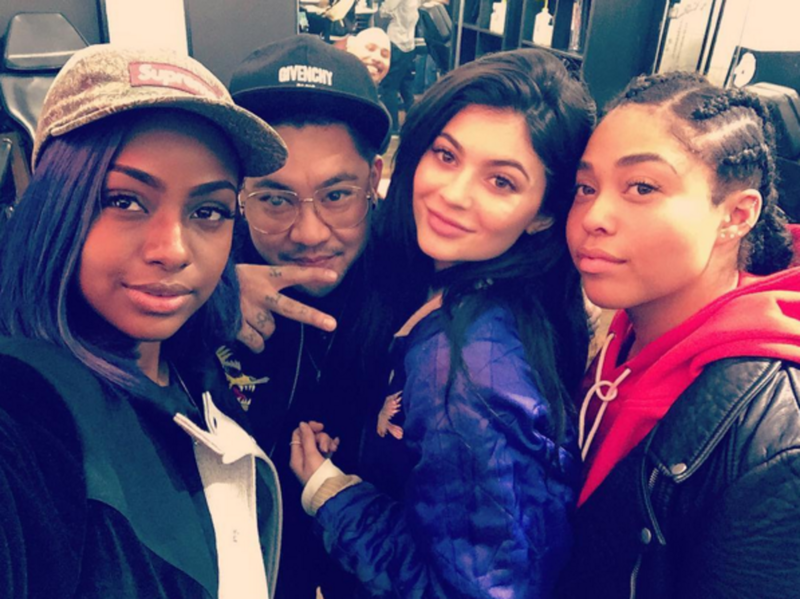 The 18-year-old and her two friends, Jordyn Woods and Justine Skye, met with celebrity tattooer Jon Boy. Kylie and her pal Jordyn added to their tiny collections with matching tattoos on their pinky fingers. The red squiggle of a letter reads M. Clearly, Kylie favors red ink as her other tattoo, a teeny tiny heart on her arm, is also red. 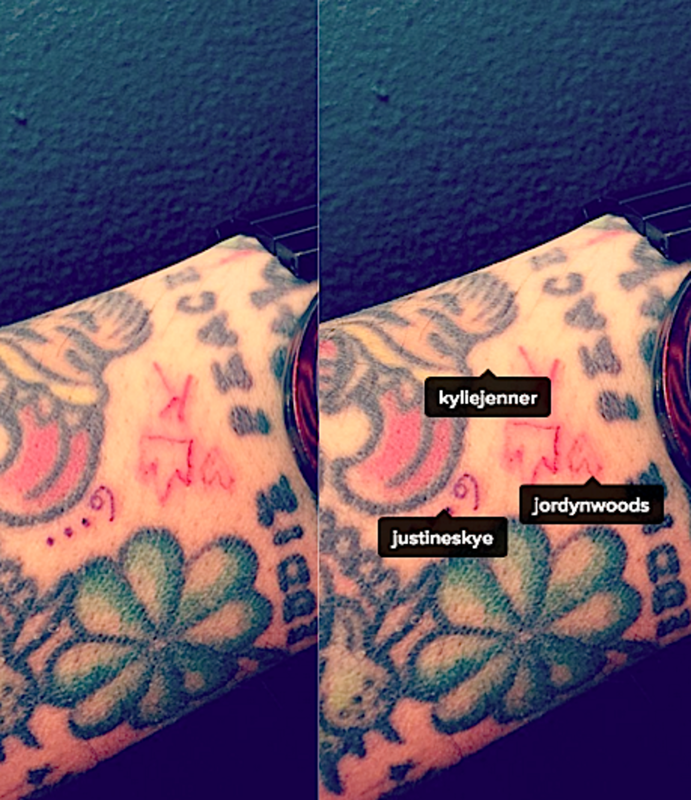 Kylie touched up her tattoo of her grandmother&apos;s name, Mary Jo, too. Jon Boy was in for a treat beyond tattooing the reality TV star. After tattooing the girlfriends, the artist gave Kylie, Jordyn, and Justine the tattoo machine and let them give tattooing a try. Yes, this is against the law. And it is not the first time Jon Boy has allowed a celebrity client to tattoo him; in November 2015 Ireland Baldwin took her turn tattooing the artist. 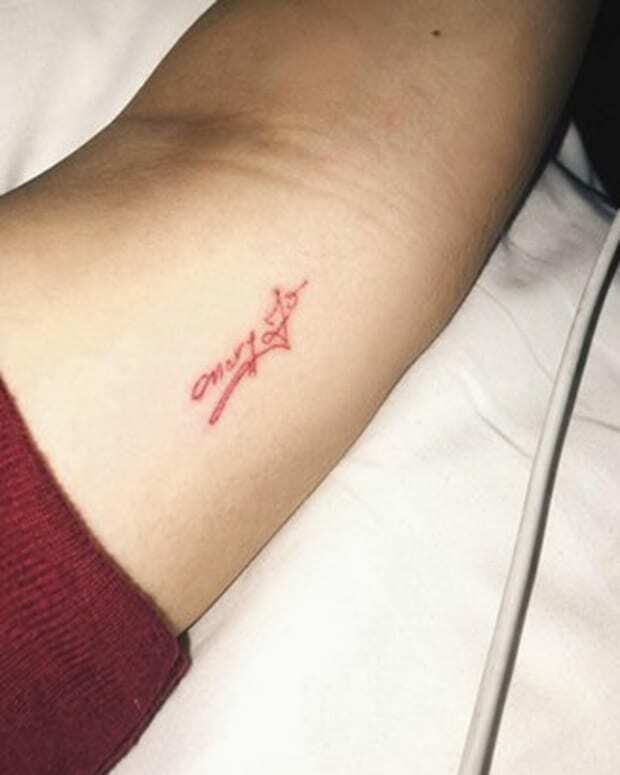 Justine inked ...6, Jordyn gave Jon Boy a little heart, and Kylie tattooed her signature stamp: A crown hovering over a K. Jon Boy uploaded a photo of his new ink to Instagram with the caption, "My New Ink! Thanks girls @kyliejenner@justineskye@jordynwoods.❤️JB." Prior to that post he shared a selfie of himself with the three clients. The world first got wind of Kylie&apos;s recent tattoo adventure via Snapchat, though people were unsure as to what the tattoo was actually of. In the video Kylie appears to be in a bit of pain, though the M ink couldn&apos;t have taken more than a second or two. No word as to what the letter M symbolizes to Kylie and Jordyn, but it&apos;s nice to see they haven&apos;t totally shied away from the needle. 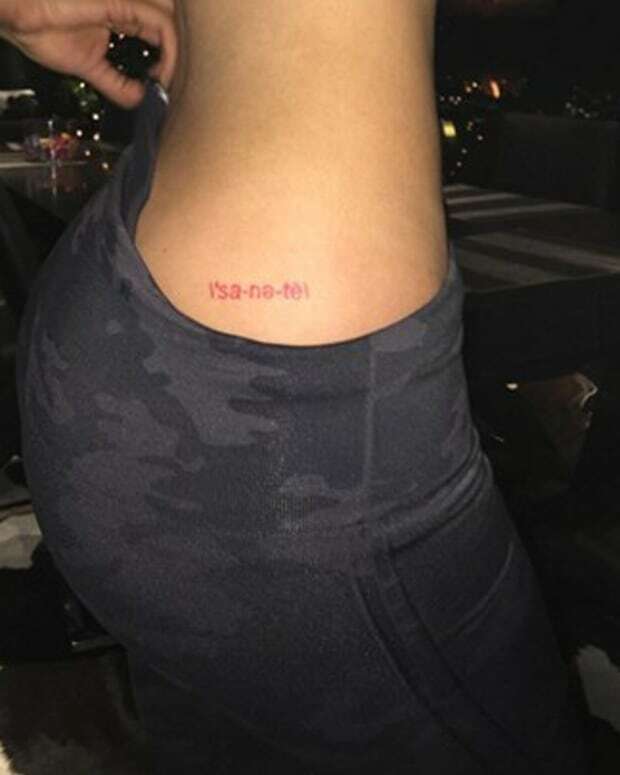 With that being said, we do hope that the next time we write about one of Kylie&apos;s tattoos that it is something that covers a bit more real estate. See videos of Kylie and Jon Boy&apos;s tattoo exchange below.